Kelly Lewis is the Broker/Owner of Tulsa Metro Realty in Owasso, serving the greater Tulsa metro area, and has been in the real estate industry since 2010. She relocated from Norman in 2015 where she served on the Public Relations Committee with the Norman Board of Realtors® from 2010 to 2012 and was employed by the Norman Board of Realtors® from 2012-2014, handling the Accounting and committee fundraising events. Kelly is a City of Owasso City Councilor, is active with the Owasso Chamber of Commerce as an Ambassador, and a graduate of the Leadership Owasso class, and serves on the Owasso Character Council. She served on the board of directors for the Cleveland County Red Cross, is an active volunteer with the Tulsa Boys Home and is a wish granter with Oklahoma Make a Wish Foundation. Prior to living in Oklahoma, Kelly also served as the Public Relations Director for the Main Street Mission, a non-profit organization working with the homeless, was active with the Bentonville, AR. Chamber of Commerce as an Ambassador, and owned an Accounting business servicing small, locally owned businesses in Bentonville. 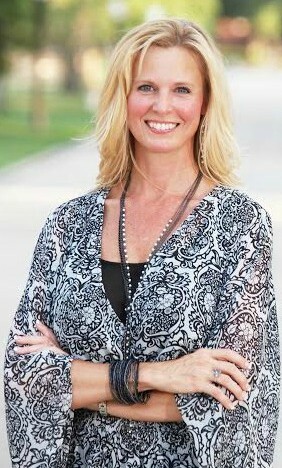 Kelly holds a real estate license in Oklahoma and Arkansas. She holds membership in the National Association of Realtors® with the Graduate, Realtor® Institute (GRI) designation, the professional Certified Owner Representative (COR) designation, and is a member of the Oklahoma Association of Realtors® where she serves as a State Director and sits on the Oklahoma Housing Foundation and Professional Standards committees. Kelly is also a member of The Greater Tulsa Association of Realtors®. Kelly has a passion for giving back to the community and helping where needed.